I had every intention of quilting this little top before I sent out all the quilts to C&T Publishing for the in-house photography but that just did not happen. I have been hand stitching a lot lately. If I don't have hand work in the evenings, I miss it. Winding down while 'Watching' tv is just not the same. It is far from perfect, just the way I like it. No two triangles are the same in spite of being made from a stack. These free-form blocks are pretty cool! 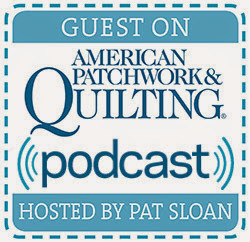 It must be my publisher's favorite quilt since it made it in two of the chapters in my book. It is one of the reasons why I chose to teach Hourglass Twist class at MAQ. 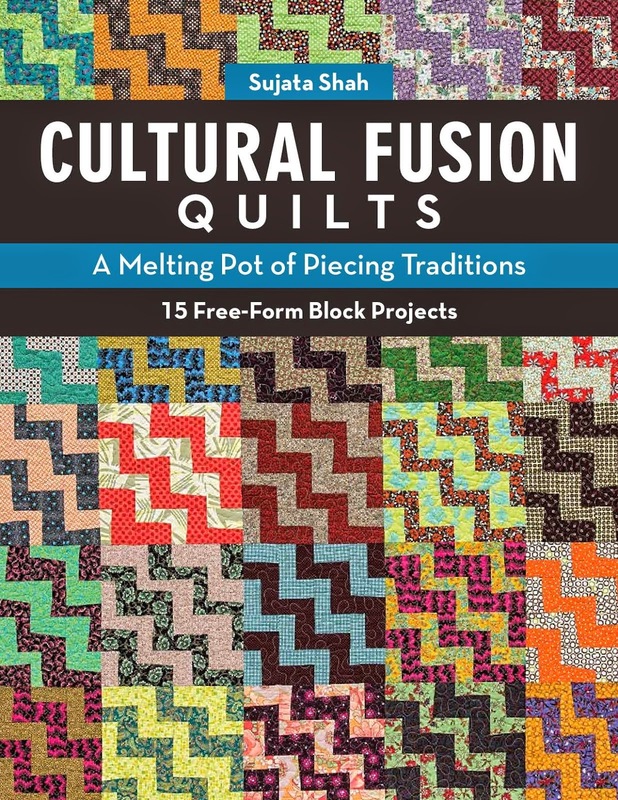 Some of the blocks from this technique land themselves into more than one quilt. The possibilities are endless and I can not wait for my students to explore more. It has not found it's permanent home yet. I am still wondering what to call it. Movement, texture and contrast all in one - It packs a lot of punch for it's size. 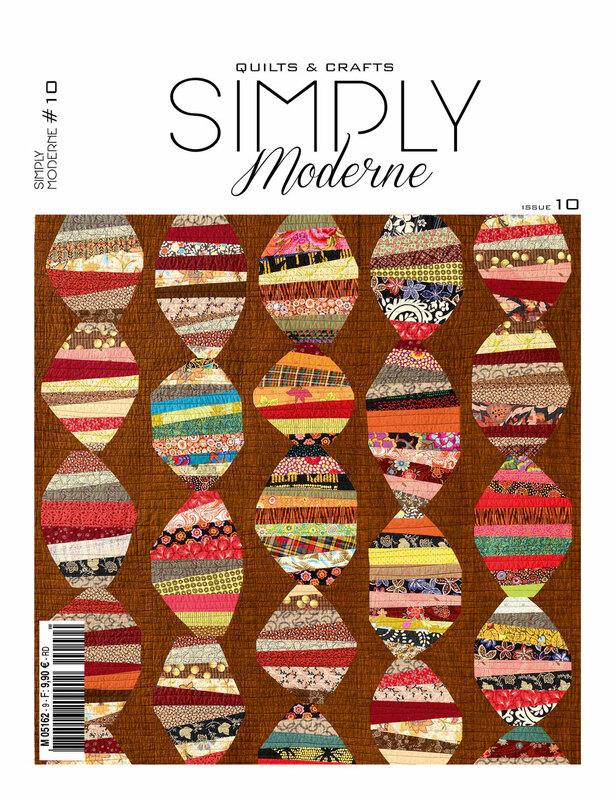 It would be an Amish quilt if the HSTs were precise. It would be an Indian ralli quilt if it had borders and some reverse applique added to it. It is somewhat close to perfect to be a Gee's bend quilt. But it reminds me of all three cultures. 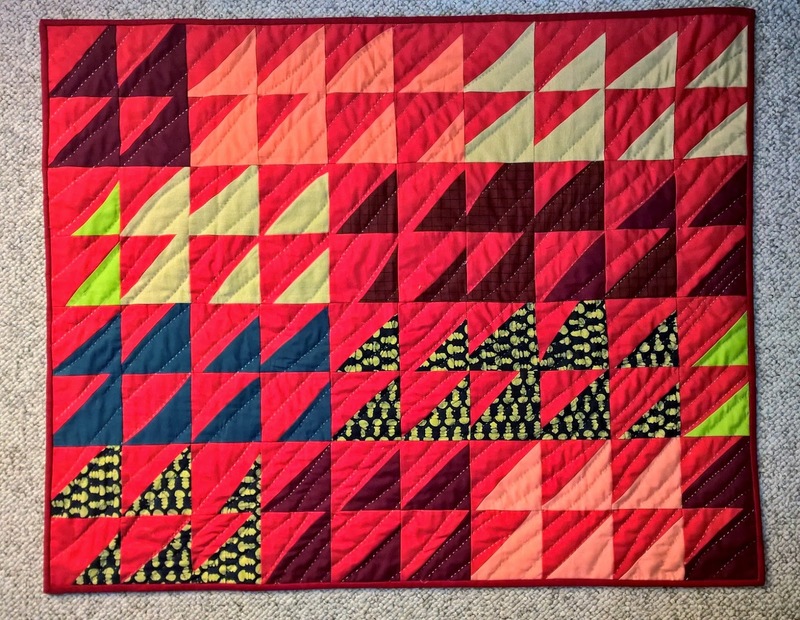 I am calling it The Red Quilt. I finished it with freehand, organic hand quilting using Valdani silk thread. If you would like to read about my classes, please visit earlier posts. I am ready for some piecing fun. 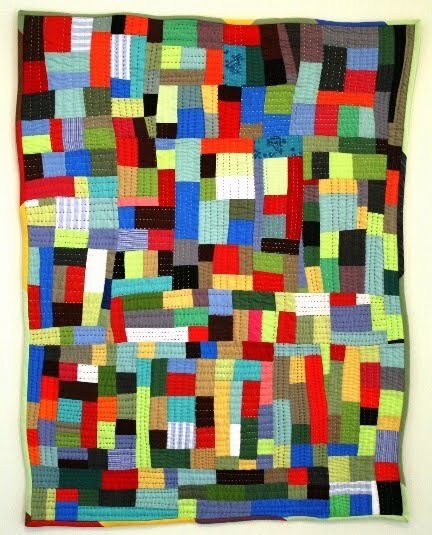 Great little quilt! The random hst and the contrasting colors are wonderful! Love it! Such a fantastic combination of colour and form. It's a Shujata quilt! I love the vibrant red and the emerging and retreating colours in the triangles, it has movement. 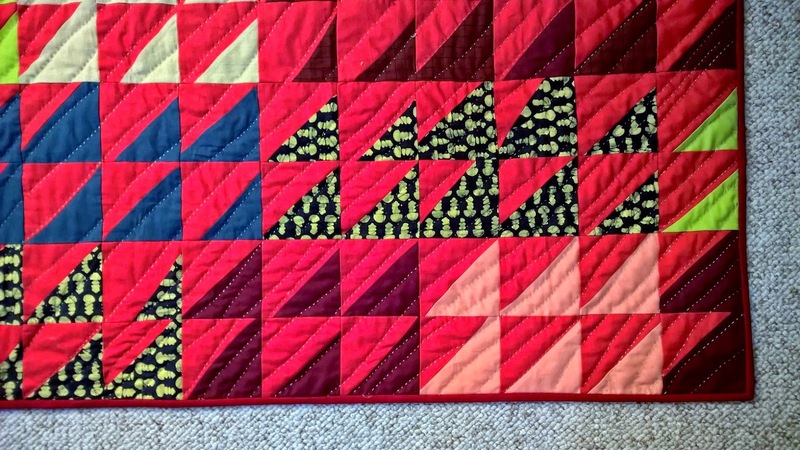 The Red Quilt is a perfect name for this wonderful quilt that brings together different styles. Great texture with the hand stitches! What a gorgeous quilt! I love the organic stitching and the cheerful color! 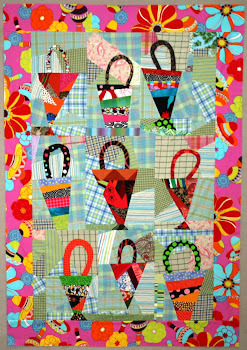 Sujata this is vibrant a true spring time quilt. It wakes up the possibilities. We're home now unpacking. 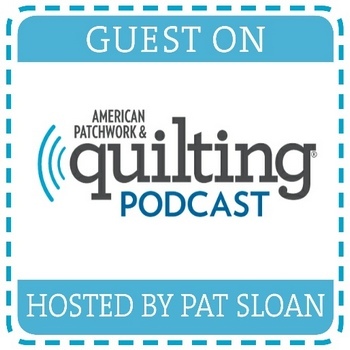 Itching to get some quilting. What a yummy quilt. I love the irregular triangles, very arty. It's a Sujata quilt! Unique in itself.